REUTERS/Mike StoneMichigan fans cheer before the start of the NCAA football game between the University of Alabama and the University of Michigan at the Cowboys Stadium in Arlington, Texas September 1, 2012. Consumer confidence in America is in great shape. 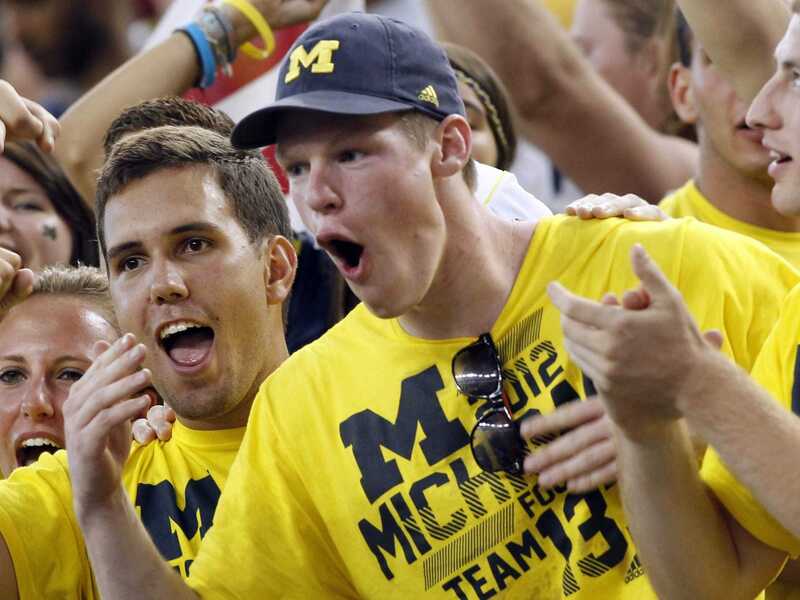 The University of Michigan’s consumer confidence index jumped to 86.9 in October from 84.6 in September. This was also much higher than expectations for 86.4. This comes despite stock market volatility and fears over things like the spread of the Ebola virus. It’s worth noting that gasoline prices have been tumbling, which frees up lots of spending power for consumers.